Did you always want to be a chef? Now you don't have to wait anymore! 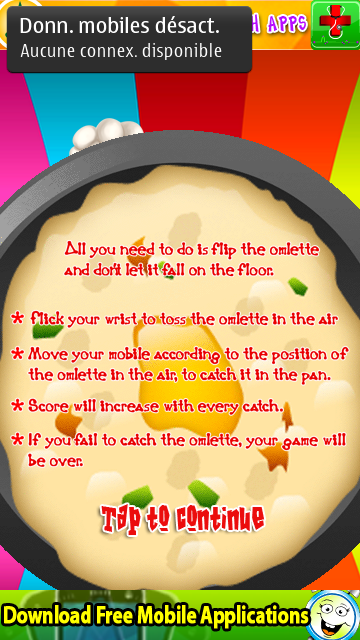 Flip the omeletteperfectly in this game to score! A perfectly cooked omelette willget you good score. So wear your chef's hat & pick up the frying pan! Be careful, don't let it burn! 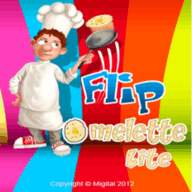 6¦1 Flip the omelette by a flick of your wrist. 6¦1 Keep flipping the omelette to score higher. 6¦1 Don't let the omelette fall on the ground, or you lose! 6¦1 Challenge yourself or competewith global scorers!